#2,466 First Day of Fall (Technically). 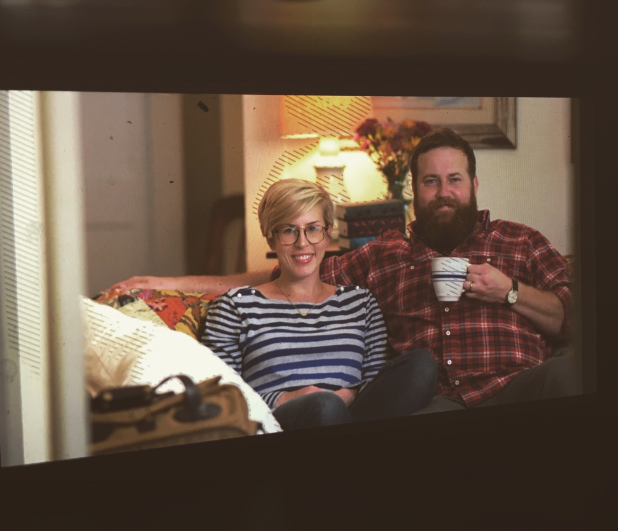 – Laurel Mercantile Co.
Now reading: #2,466 First Day of Fall (Technically). #2,466 First Day of Fall (Technically). 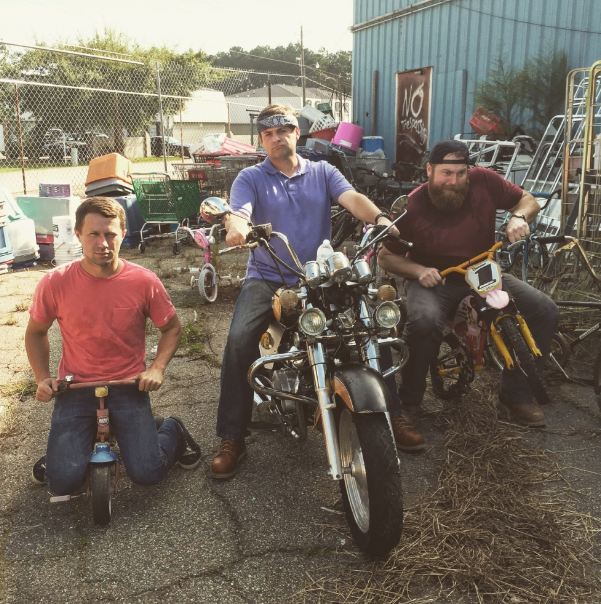 I got to sleep in while Ben had a morning with the Men of Mercantile on the hunt at an antiques salvage place for an old clawfoot tub. I’m sure it was productive. It’s the first day of fall, technically, though it was 96 degrees and sunburn-inducing hot, but we will take it. And be thankful. And drink ice water in mugs masquerading as hot coffee. 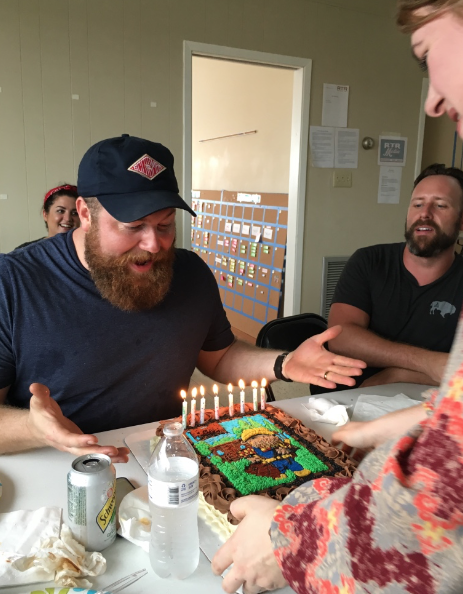 Saturday will be Ben’s 33rd birthday, but since we won’t be at work tomorrow they threw a sweet little birthday party for him at lunch today. 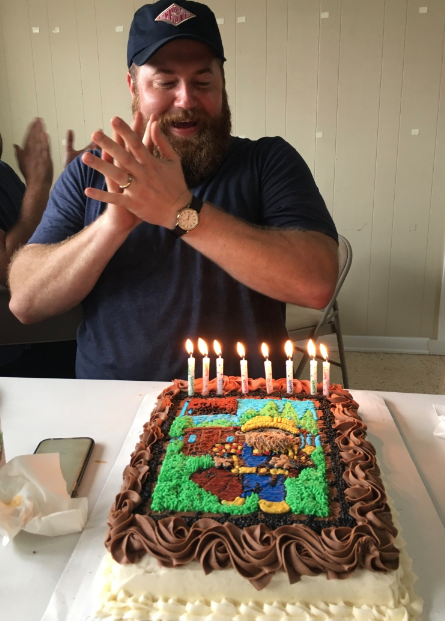 Birthdays are a BIG DEAL with our amazing team, and Mauriett always makes sure to get your favorite dessert and decorate it in some fun way. 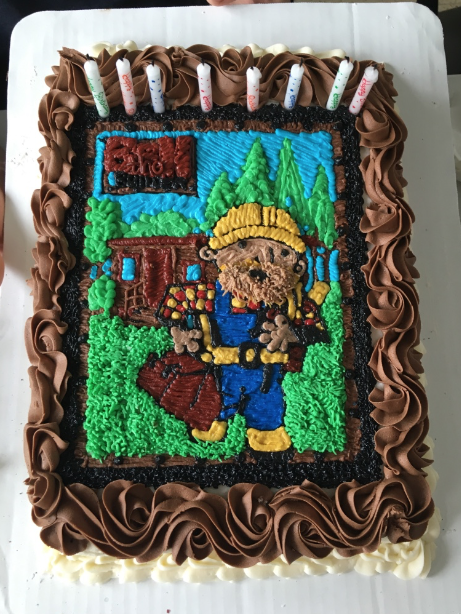 Our friends at the bakery had fun with this one and made him a red velvet ‘Ben the Builder’ cake. He was as excited as if he was turning 6 years old. Don’t you love when it happens and that you get to see the flash of the little boy that lives inside every big burly man?